Certain trees are considered scared due to the multifarious salient services they render. Many such trees are facing extinction. The Hatha Vidya Gurukulam is commencing an ambitious project to plant and protect such vauable trees as various parts of the state. 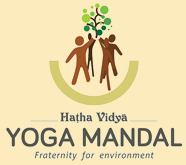 We earnestly solicit the sincere participation of general public in this noble and environment friendly venture.